The 86th Academy Awards ceremony, presented by the Academy of Motion Picture Arts and Sciences (AMPAS), honored the best films of 2013 and took place on March 2, 2014, at the Dolby Theatre in Hollywood, Los Angeles beginning at 5:30 p.m. PST / 8:30 p.m. EST. The ceremony was scheduled well after its usual late-February date to avoid conflicting with the 2014 Winter Olympics. During the ceremony, the Academy of Motion Picture Arts and Sciences presented Academy Awards (commonly referred to as Oscars) in 24 categories. The ceremony was televised in the United States by ABC, and produced by Neil Meron and Craig Zadan and directed by Hamish Hamilton. 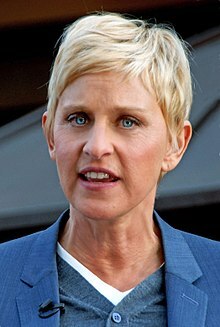 Actress Ellen DeGeneres hosted the show for the second time, having previously hosted the 79th ceremony held in 2007. In related events, the Academy held its 5th annual Governors Awards ceremony at the Grand Ballroom of the Hollywood and Highland Center on November 16, 2013. On February 15, 2014, in a ceremony at The Beverly Hills Hotel in Beverly Hills, California, the Academy Awards for Technical Achievement were presented by hosts Kristen Bell and Michael B. Jordan. 12 Years a Slave won three awards including Best Picture. 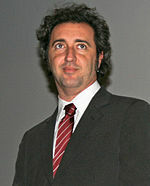 Gravity won the most awards with seven including Best Director for Alfonso Cuarón. Other winners included Dallas Buyers Club also with three awards, Frozen, and The Great Gatsby with two, and Blue Jasmine, The Great Beauty, Helium, Her, The Lady in Number 6, Mr Hublot, and 20 Feet from Stardom with one. The telecast garnered nearly 44 million viewers in the United States, making it the most watched Oscar ceremony since the 72nd Academy Awards in 2000. The nominees for the 86th Academy Awards were announced on January 16, 2014, at 5:38 a.m. PST (13:38 UTC), at the Samuel Goldwyn Theater in Beverly Hills, California, by Cheryl Boone Isaacs, president of the Academy, and actor Chris Hemsworth. American Hustle and Gravity tied for the most nominations with ten each. The winners were announced during the awards ceremony on March 2, 2014. American Hustle became David O. Russell's second consecutive film to earn nominations in all acting categories and the fifteenth film overall in Oscar history to achieve this distinction. It also was the third film after Gangs of New York and True Grit to lose all ten of its nominations. Steve McQueen became the first black director to direct a Best Picture winner and the third such person to receive a nomination for directing. 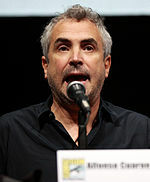 Alfonso Cuaron became the first person of Mexican descent to win Best Director. 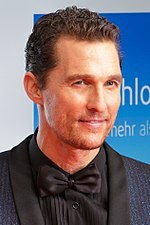 With Matthew McConaughey and Jared Leto's respective wins in the Best Actor and Best Supporting Actor categories, Dallas Buyers Club was the fifth film to win both male acting awards. Additionally, 3 other films (American Hustle, 12 Years a Slave, and The Wolf of Wall Street) also received nominations for both Best Actor and Best Supporting Actor. Cate Blanchett became the sixth actress to have won both female acting awards in her career. Lupita Nyong'o was the sixteenth Oscar acting winner to win for a debut film performance and the ninth Best Supporting Actress recipient to achieve this feat. Best Original Song co-winner Robert Lopez became the youngest individual to win an Academy, Emmy, Grammy, and Tony Award and the twelfth person overall to earn these accolades. 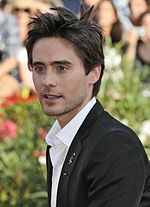 The Academy held its 5th Annual Governors Awards ceremony on November 16, 2013, during which the following awards were presented. Angela Lansbury — An entertainment icon who has created some of cinema's most memorable characters, inspiring generations of actors. Steve Martin — In recognition of his extraordinary talents and the unique inspiration he has brought to the art of motion pictures. Piero Tosi — A visionary whose incomparable costume designs shaped timeless, living art in motion pictures. Kerry Washington Introducer of the performance of Best Original Song nominee "Happy"
Zac Efron Introducer of the performance of Best Original Song nominee "The Moon Song"
Brad Pitt Introducer of the performance of Best Original Song nominee "Ordinary Love"
(AMPAS president) Special presentation announcing the Academy Museum of Motion Pictures, to open in 2019. Whoopi Goldberg Presenter of The Wizard of Oz 75th anniversary tribute and the performance of "Over the Rainbow"
John Travolta Introducer of the performance of Best Original Song nominee "Let It Go"
Despite the mixed reception received from the preceding year's ceremony, the Academy rehired Neil Meron and Craig Zadan as producers for the second consecutive year. However, actor Seth MacFarlane announced that he would not host the Oscars for a second time. In a statement released through Twitter, he wrote "Traumatized critics exhale: I'm unable to do the Oscars again. Tried to make it work schedule-wise, but I need sleep." Furthermore, actress and comedian Tina Fey, who co-hosted the 70th Golden Globe Awards more than a month earlier with fellow Saturday Night Live alumnus Amy Poehler, told Huffington Post columnist Mike Ryan that she would reject any offer to host an Oscar telecast commenting, "I just feel like that gig is so hard. Especially for, like, a woman – the amount of months that would be spent trying on dresses alone – no way." Shortly after the election of AMPAS president Cheryl Boone Isaacs in August 2013, Meron and Zadan announced that comedian and talk show host Ellen DeGeneres would host the 2014 ceremony. They explained their decision to bring back DeGeneres as host saying, "As a longtime friend, we had always hoped to find a project for us to do together and nothing could be more exciting than teaming up to do the Oscars. There are few stars today who have Ellen's gift for comedy, with her great warmth and humanity. She is beloved everywhere and we expect that the audience at the Dolby Theatre and in homes around the globe will be as excited by this news as we are." DeGeneres expressed that she was thrilled to be selected to emcee the gala again, commenting, "I am so excited to be hosting the Oscars for the second time. You know what they say – the third time's the charm." As with last year's theme of music and the movies, Meron and Zadan centered the show around a theme. This year, they christened the show with a theme of saluting movie heroes commenting, "By celebrating the gamut of heroes who have enriched our movie-going experience, we hope to create an evening of fun and joy. And that includes the filmmakers and actors who take risks and stimulate us with provocative subjects and daring characters. They are all heroes in the cinematic landscape." To coincide with the theme, AMPAS presented an exhibition in the lobby of its Beverly Hills headquarters titled "The Oscars Celebrate Movie Heroes". The exhibit featured posters, photographs, and artifacts from 70 different films featuring literary, comic book, and real life heroes. Furthermore, actor Andrew Garfield, who portrayed the titular character in The Amazing Spider-Man, was scheduled to appear onstage with five-year-old cancer survivor Miles Scott with Garfield christening Scott as an "official superhero". The segment was scrapped, however, due to time constraints. Several other people were involved with the telecast and its promotion. Tony Award-winning art director Derek McLane designed a new set and stage design for the show. Filmmaker Paul Feig produced and directed a one-minute trailer promoting the event featuring DeGeneres and 250 dancers dancing and lip-synching to the song "The Walker" by rock band Fitz & the Tantrums. During the ceremony, actor Channing Tatum introduced a group called "Team Oscar". The team consisted of six young film students from colleges across the country selected by AMPAS whose role was to deliver Oscar statuettes to the presenters during the gala. Television personality and former Miss USA titleholder Rachel Smith hosted "Inside the Oscars", a behind-the-scenes video blog on the Oscar ceremony website. At the time of the nominations announcement on January 16, 2014, the combined gross of the nine Best Picture nominees at the American and Canadian box offices was $645 million, with an average of $72 million per film. When the nominations were revealed, Gravity was the highest-grossing film among the Best Picture nominees with $256 million in domestic box office receipts. Captain Phillips was the second-highest-grossing film with $105.5 million; this was followed by American Hustle ($105.4 million), The Wolf of Wall Street ($80.7 million), 12 Years a Slave ($39 million), Philomena ($22.3 million), Dallas Buyers Club ($16.8 million), Her ($9.9 million), and finally Nebraska ($8.5 million). Of the top 50 grossing movies of the year, 47 nominations went to 14 films on the list. Only Frozen (1st), Despicable Me 2 (3rd), Gravity (7th), The Croods (14th), Captain Phillips (29th), American Hustle (30th), and The Wolf of Wall Street (42nd) were nominated for Best Picture, Best Animated Feature or any of the directing, acting or screenwriting awards. The other top 50 box office hits that earned nominations were Iron Man 3 (2nd), The Hobbit: The Desolation of Smaug (8th), Star Trek Into Darkness (11th), The Great Gatsby (17th), Jackass Presents: Bad Grandpa (31st), The Lone Ranger (38th), and Saving Mr. Banks (48th). Prior to the introduction of the Academy Awards for Technical Achievement montage, DeGeneres and several ceremony attendees such as Bradley Cooper, Jared Leto, Jennifer Lawrence, Julia Roberts, Kevin Spacey, Meryl Streep, Angelina Jolie, Brad Pitt, Channing Tatum, Lupita Nyong'o, and Peter Nyong'o (Lupita's brother) participated in a group selfie. The resulting tweet initially disabled the site and was eventually retweeted on Twitter over 3.4 million times. It surpassed the previous record retweet of Barack and Michelle Obama's post-election hug photo, which had been retweeted 778,000 times, in just 35 minutes. While introducing the performance of "Let It Go" from Frozen, actor John Travolta accidentally mispronounced singer Idina Menzel's name as "Adele Dazeem". As a result, Travolta became the subject of mockery and ridicule in the media. According to a source for E!, Menzel revealed that she was not upset about the mishap. Afterwards, Menzel reportedly printed up satirical playbills that promoted her name as Adele Dazeem, noting her past work in Nert (Rent), Wicked-ly (Wicked) and Farfignugen (Frozen). Three days after the ceremony, Travolta publicly apologized to Menzel for mispronouncing her name. The following year, Menzel and Travolta appeared onstage together as award presenters, with the former introducing the latter as "Glom Gazingo". The show received a mixed reception from media publications. The review aggregator Rotten Tomatoes gave the show a 82% approval rating, with an average rating of 0/10, based on 11 reviews. The site's consensus reads, "Ellen Degeneres breaks the internet with a record-breaking viral selfie, impromptu pizza, and a genial warmth that smoothly pilots an Oscars ceremony free of glaring gaffes -- if a little bereft of spontaneously inspired moments." Some media outlets were more critical of the show. Pittsburgh Post-Gazette television critic Rob Owen wrote, "Ms. DeGeneres brought predictable respectability to Sunday's 86th Academy Awards. Too bad this particular brand of predictable respectability was a bore." He also criticized the clip packages saluting movie heroes as "big a waste of time as Oscar montages almost always are." Columnist Alan Sepinwall of HitFix commented, "It was a long, disjointed ceremony, and what was fun and likely to endure came entirely from the winners and their speeches." He went on to say that many of DeGeneres's stunts fell flat and that The Wizard of Oz 75th anniversary tribute "felt much too random." Tim Goodman of The Hollywood Reporter said, "It was a turgid affair, badly directed, poorly produced and featuring an endless string of either tired or wince-inducing moments by DeGeneres, who, by the last 30 or so minutes, seemed to have given up entirely." In addition, he noted that the show was overstuffed with montages and stunts that dragged down the pacing of the telecast. Other media outlets received the broadcast more positively. 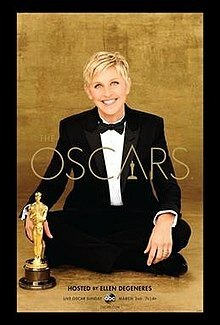 Television critic Matt Roush of TV Guide commented that DeGeneres "made the Oscars' inevitable dull patches felt less painful than usual." He also praised the cast and several musical numbers from the show. Frazier Moore of the Associated Press lauded DeGeneres's performance writing that, "She seemed to be committed to an unspoken theme for the evening: Humanize Hollywood's glitterati for the viewers. In return, the stars were on their best behavior." He concluded, "All in all, a sleek show was the Oscarcast. Few bombshells, fewer embarrassments, from fade-in to fade-out." Entertainment editor Marlow Stern of The Daily Beast raved, "DeGeneres followed in the footsteps of the most successful awards show hosts—Billy Crystal, the duo of Fey & Poehler, etc.—who have taken advantage of the audience, engaging in gleeful interactions with the plethora of A-listers there (when they're not mocking them)." The American telecast on ABC drew in an average of 43.74 million people over its length, which was a 6% increase from the previous year's ceremony. An estimated 72 million total viewers watched all or part of the awards. The show also earned higher Nielsen ratings compared to the previous telecast with 24.7% of households watching over a 38 share. In addition, the program scored a higher 18-49 demo rating with a 13.3 rating over a 33 share among viewers in that demographic. It was the highest viewership for an Academy Award telecast since the 72nd ceremony held in 2000. In July 2014, the ceremony presentation received eight nominations for the 66th Primetime Emmys. 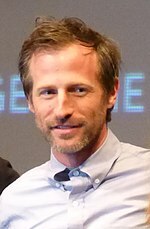 The following month, the ceremony won one of those nominations for Outstanding Art Direction for a Variety, Nonfiction, Reality, or Reality-Competition Program (Derek McLane, Joe Celli, and Gloria Lamb). The annual In Memoriam tribute was presented by actress Glenn Close. The montage featured an excerpt of the main title from Somewhere in Time by composer John Barry. At the conclusion of the tribute, singer Bette Midler performed her song "Wind Beneath My Wings" from the film Beaches. Shortly after Midler finished singing, camera assistant Sarah Jones, who died more than a week prior to the ceremony, was briefly mentioned before the commercial break. a^ :The Academy revoked the Best Original Song nomination for Alone yet Not Alone's title song after determining that composer Bruce Broughton violated the Academy's promotional regulations. Broughton, a former Academy governor and member of the music branch's executive committee, had emailed other music branch members to inform them of his submission. b^ :"John Mac McMurphy" is a pseudonym for Jean-Marc Vallée. ^ Hyman, Vicki (August 2, 2013). "Ellen DeGeneres tapped to host 2014 Oscars". The Star-Ledger. Advance Publications. Archived from the original on January 19, 2014. Retrieved January 16, 2014. ^ Yahr, Emily (March 2, 2014). "Oscars 2014 FAQ: Where to watch the show, all the red carpet coverage and the after-shows". The Washington Post. Archived from the original on March 2, 2014. Retrieved March 3, 2014. ^ Sperling, Nicole (April 16, 2013). "Academy Awards producers Craig Zadan and Neil Meron asked to return for 2014 Oscar show". Los Angeles Times. Tribune Publishing. Archived from the original on May 15, 2013. Retrieved April 17, 2013. ^ Gray, Tim (January 15, 2014). "Hamish Hamilton to Direct Oscar Show". Variety. Penske Media Corporation. Archived from the original on January 17, 2014. Retrieved January 16, 2014. ^ Lowry, Brian (March 2, 2014). "TV Review: 'The 86th Annual Academy Awards'". Variety. Penske Media Corporation. Archived from the original on March 6, 2014. Retrieved March 3, 2014. ^ Kissell, Rick (March 3, 2014). "Oscars on ABC Draw Largest Audience in 10 Years". Variety. Penske Media Corporation. Archived from the original on March 8, 2014. Retrieved March 3, 2014. 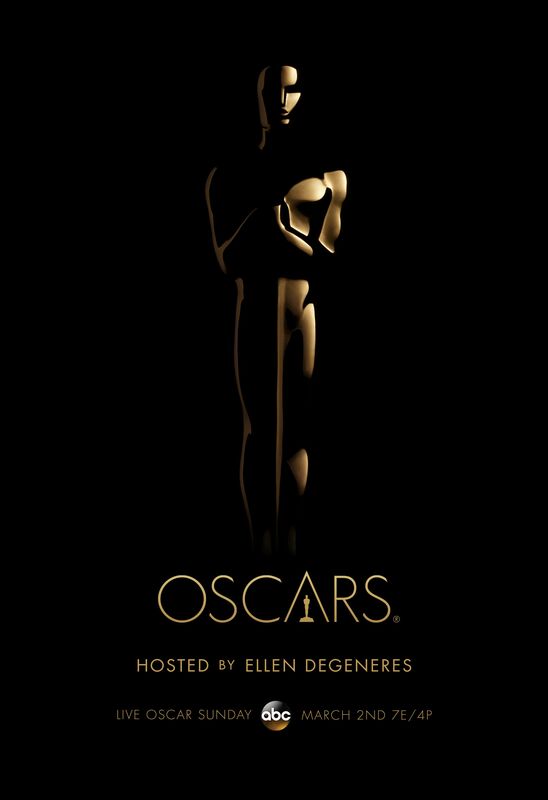 ^ "OSCARS: 2014 Academy Awards Set For March 2". Deadline Hollywood. Penske Media Corporation. Archived from the original on August 29, 2014. Retrieved March 25, 2013. ^ "Ellen DeGeneres Returns To Host The Oscars". Academy of Motion Picture Arts and Sciences. AMPAS. August 2, 2013. Archived from the original on August 2, 2013. Retrieved August 2, 2013. ^ Sperling, Nicole (November 16, 2013). "Angelina Jolie honored at 2013 Governors Awards". Entertainment Weekly. Time Inc. Archived from the original on February 14, 2014. Retrieved January 30, 2014. ^ Alexander, Bryan (January 30, 2014). "Bell, Jordan to host Oscar's sci-tech awards". USA Today. Gannett Company. Archived from the original on January 30, 2014. Retrieved January 30, 2014. ^ Horn, John (March 3, 2014). "Oscars 2014: '12 Years a Slave' wins best picture Oscar". Los Angeles Times. Tribune Publishing. Archived from the original on April 17, 2014. Retrieved April 16, 2014. ^ Kennedy, Lisa (March 3, 2014). ""12 Years a Slave" escapes pull of "Gravity" for win". The Denver Post. MediaNews Group. Archived from the original on March 9, 2014. Retrieved April 1, 2014. ^ a b Maglio, Tony (March 4, 2014). "Oscars Propel ABC to Most-Watched Week in 4 Years". The Wrap. The Wrap News Inc. Archived from the original on July 29, 2014. Retrieved July 21, 2014. ^ Whitty, Stephen (January 16, 2014). "2014 Oscars: Jersey-set 'American Hustle,' outer-space 'Gravity' lead nominations". The Star-Ledger. Advance Publications. Archived from the original on January 19, 2014. Retrieved January 16, 2014. ^ King, Susan; Lynch, Rene (January 16, 2014). "2014 Oscar nominations: 'American Hustle' shuffles David O. Russell to front of the pack again". Los Angeles Times. Tribune Publishing. Archived from the original on January 16, 2014. Retrieved January 16, 2014. ^ MacDonald, Moira (January 16, 2014). "Those "American Hustle" acting nominations". The Seattle Times. The Seattle Times Company. Archived from the original on April 17, 2014. Retrieved January 30, 2014. ^ Gibson, Megan (March 3, 2014). "Oscars 2014: American Hustle The Night's Biggest Shutout". Time. Time Inc. Archived from the original on March 6, 2014. Retrieved March 5, 2014. ^ Cieply, Michael (January 24, 2014). "By the Numbers: Oscar's Track Record With Black Filmmakers". The New York Times. The New York Times Company. Retrieved January 30, 2014. ^ a b c Eng, Joyce (March 2, 2014). "12 Years a Slave, Gravity Top Oscars". TV Guide. Archived from the original on March 6, 2014. Retrieved March 5, 2014. ^ Brockell, Gillian (March 2, 2014). "Robert Lopez joins the exclusive EGOT club with 'Let It Go' win". The Washington Post. The Washington Post Company. Archived from the original on March 5, 2014. Retrieved March 5, 2014. ^ "Academy Unveils 2013 Governors Awards: Honorees Angelina Jolie, Angela Lansbury, Steve Martin, Piero Tosi". Deadline Hollywood. PMC. Archived from the original on September 7, 2013. Retrieved September 5, 2013. ^ "Angelina Jolie, Angela Lansbury, Steve Martin and Piero Tosi to Receive the Academy's Governors Awards". Academy of Motion Picture Arts and Sciences. AMPAS. September 5, 2013. Archived from the original on October 15, 2014. Retrieved March 5, 2014. ^ Gray, Tim (September 5, 2013). "Angelina Jolie, Angela Lansbury, Steve Martin and Piero Tosi to Receive Oscars' Governors Awards". Variety. Penske Media Corporation. Archived from the original on February 19, 2014. Retrieved March 5, 2014. ^ "Stars Come Out to Celebrate On Oscar Sunday". Academy of Motion Picture Arts and Sciences. AMPAS. February 24, 2014. Archived from the original on October 15, 2014. Retrieved February 24, 2014. ^ Lee, Ashley (March 2, 2014). "Oscars 2014: Performers & Presenters To Expect". The Hollywood Reporter. Prometheus Global Media. Archived from the original on March 17, 2014. Retrieved April 16, 2014. ^ Couch, Aaron (March 5, 2014). "Oscars: Surprise Batkid Appearance Was Pulled From Ceremony". The Hollywood Reporter. Prometheus Global Media. Archived from the original on April 19, 2014. Retrieved April 16, 2014. ^ Breznican, Anthony (April 16, 2013). "Oscar Return: Craig Zadan and Neil Meron to produce show again". Entertainment Weekly. Time Inc. Archived from the original on November 9, 2013. Retrieved April 1, 2014. ^ Abramovitch, Seth (May 20, 2013). "Seth MacFarlane Bows Out of Oscars". The Hollywood Reporter. Prometheus Global Media. Archived from the original on June 8, 2014. Retrieved April 1, 2014. ^ Griffith, Janelle (February 27, 2013). "Tina Fey says 'no way' to hosting the Oscars". The Star-Ledger. Advance Publications. Archived from the original on April 17, 2014. Retrieved April 1, 2014. ^ Lee, Chris (August 2, 2013). "Ellen DeGeneres back to host 2014 Oscars". Los Angeles Times. Tribune Publishing. Archived from the original on April 10, 2014. Retrieved April 1, 2014. ^ Gennis, Sadie (August 2, 2013). "Ellen DeGeneres to Host the Oscars". TV Guide. Archived from the original on April 17, 2014. Retrieved April 1, 2014. ^ Carter, Bill (August 2, 2013). "Ellen DeGeneres to Host Next Year's Oscars". The New York Times. The New York Times Company. Archived from the original on October 17, 2014. Retrieved April 1, 2014. ^ "Oscars to Celebrate Movie Heroes". Academy of Motion Picture Arts and Sciences. AMPAS. January 14, 2014. Archived from the original on October 15, 2014. Retrieved April 2, 2014. ^ Gettell, Oliver (January 14, 2014). "Oscars to celebrate movie heroes at this year's ceremony". Los Angeles Times. Tribune Publishing. Archived from the original on April 16, 2014. Retrieved April 16, 2014. ^ Gettell, Oliver (March 6, 2014). "Oscars: 'Batkid' appearance with Andrew Garfield cut at last minute". Los Angeles Times. Tribune Publishing. Archived from the original on March 7, 2014. Retrieved March 6, 2014. ^ "Oscar Production Team Announced". Deadline Hollywood. Penske Media Corporation. January 15, 2014. Archived from the original on February 17, 2014. Retrieved March 5, 2014. ^ Hertzfield, Laura (December 19, 2013). "Ellen DeGeneres and a sea of tuxes strut to Fitz & The Tantrums in new Oscar promo -- VIDEO". Entertainment Weekly. Time Inc. Archived from the original on February 20, 2014. Retrieved April 1, 2014. ^ Lewis, Hilary (February 6, 2014). "Oscar College Contest Winners Announced". The Hollywood Reporter. Prometheus Global Media. Archived from the original on April 4, 2014. Retrieved April 1, 2014. ^ Smith, Rachel (January 15, 2014). 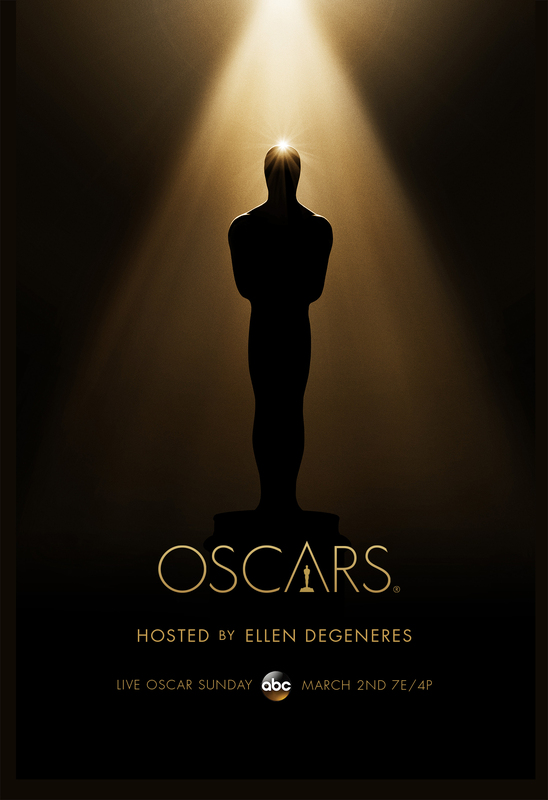 "Oscar.com Goes Behind The Scenes Of Nominations With First Installment Of Exclusive Inside The Oscars Video Series". Academy of Motion Picture Arts and Sciences. AMPAS. Archived from the original on October 15, 2014. Retrieved April 16, 2014. ^ a b "2013 Academy Award Nominations and Winner for Best Picture". Box Office Mojo. Amazon.com. Archived from the original on January 18, 2014. Retrieved January 17, 2014. ^ a b c "2013 Domestic Grosses (as of January 15, 2014)". Box Office Mojo. Amazon.com. January 17, 2014. Archived from the original on February 22, 2014. Retrieved January 17, 2014. ^ Guyun, Jessica (March 3, 2014). "Ellen DeGeneres selfie on Twitter is Oscar gold for Samsung". Los Angeles Times. Tribune Publishing. Archived from the original on April 10, 2014. Retrieved April 16, 2014. ^ Kuperisnky, Amy (March 8, 2014). "Trending: Ellen's Oscars retweet record, Adele Dazeem and Rachel Canning". The Star-Ledger. Advance Communications. Archived from the original on April 17, 2014. Retrieved April 16, 2014. ^ Bacardi, Francesca (March 3, 2014). "Oscar Night Flubs Flood Media". Variety. Penske Media Corporation. Archived from the original on April 18, 2014. Retrieved April 16, 2014. ^ Malkin, Marc (March 4, 2014). "Idina Menzel Hugged John Travolta After Her Oscars Performance, "Laughed Off" Adele Dazeem Mishap". E!. NBC Universal. Archived from the original on March 5, 2014. Retrieved March 6, 2014. ^ a b Newman, Jason (March 5, 2014). "John Travolta Apologizes to 'Frozen' Star Idina Menzel for Oscar Flub". Rolling Stone. Wenner Media. Archived from the original on March 7, 2014. Retrieved March 6, 2014. ^ Eggertsen, Chris (March 4, 2014). "God Exists: Idina Menzel renamed 'Adele Dazeem' in official Playbill for 'If/Then'". HitFix. Archived from the original on March 6, 2014. Retrieved March 6, 2014. ^ Kuperinsky, Amy (February 22, 2015). "Glom Gazingo: John Travolta and Idina Menzel revisit 2014 Oscars flub (Video)". The Star Ledger. Advance Communications. Archived from the original on February 25, 2015. Retrieved February 25, 2015. ^ "The Academy Awards: 86th Oscars (2014)". Rotten Tomatoes. Archived from the original on April 4, 2019. Retrieved April 4, 2019. ^ Owen, Rob (March 3, 2014). "Tuned In: Oscars dull despite DeGeneres". Pittsburgh Post-Gazette. Crain Communications. Archived from the original on March 3, 2014. Retrieved April 1, 2014. ^ Sepinwall, Alan (March 2, 2014). "Review: Pizzas, celebrity selfies and pointless montages at the 2014 Academy Awards". HitFix. Archived from the original on April 9, 2014. Retrieved April 1, 2014. ^ Goodman, Tim (March 2, 2014). "Oscars TV Review: Ellen Flops in Long, Boring, Self-Involved Show". The Hollywood Reporter. Prometheus Global Medua. Archived from the original on March 23, 2014. Retrieved April 1, 2014. ^ Roush, Matt (March 3, 2014). "Review: A Slice of Oscar History". TV Guide. CBS Corporation. Archived from the original on April 17, 2014. Retrieved March 5, 2014. ^ Moore, Frazier (March 3, 2014). "Oscarcast: A fine scene hosted by Ellen DeGeneres". The News-Sentinel. Ogden Newspapers. Archived from the original on April 17, 2014. Retrieved April 16, 2014. ^ Stern, Marlow (March 3, 2014). "Surprise! Ellen DeGeneres is the Best Oscars Host in a Decade". The Daily Beast. IAC. Archived from the original on April 9, 2014. Retrieved April 16, 2014. ^ O'Connell, Michael (March 4, 2014). "TV Ratings: Oscars Rise to 43.7 Million Viewers, Most-Watched in Over 10 Years". The Hollywood Reporter. Prometheus Global Media. Archived from the original on March 5, 2014. Retrieved March 5, 2014. ^ Collins, Scott (March 4, 2014). "Oscars 2014: Social media thanked for helping achieve audience gold". Los Angeles Times. Tribune Publishing. Archived from the original on March 4, 2014. Retrieved March 5, 2014. ^ Golum, Rob (March 4, 2014). "U.S. Broadcast Television Ratings for the Week Ended March 2". Bloomberg Businessweek. Bloomberg L.P. Archived from the original on February 7, 2015. Retrieved March 5, 2014. ^ Kissell, Rick (March 5, 2014). "Most-Watched Oscars in 14 Years, Return of 'Scandal' Power ABC to Weekly Victory". Variety. Penske Media Corporation. Archived from the original on July 29, 2014. Retrieved March 5, 2014. ^ "Primetime Emmys: Full List Of Nominees". Deadline Hollywood. Penske Media Corporation. July 10, 2014. Archived from the original on July 10, 2014. Retrieved July 10, 2014. ^ De Moraes, Lisa (August 16, 2014). "Creative Arts Emmy Awards: HBO Grabs Most Trophies; 'Saturday Night Live' Top Winner Among Shows". Deadline Hollywood. Penske Media Corporation. Archived from the original on August 17, 2014. Retrieved August 17, 2014. ^ Desk, BWW News. "Rocket Studio Artist, Casey Leveque, Creates Poster Art for the Oscars". BroadwayWorld.com. Retrieved March 7, 2019. ^ Harrison, Lily (March 2, 2014). "Bette Midler Sings During Oscars In Memoriam Tribute Honoring James Gandolfini, Philip Seymour Hoffman and More". E!. NBCUniversal. Archived from the original on March 3, 2014. Retrieved March 5, 2014. ^ Bobbin, Jay (March 2, 2014). "Oscars 2014: Bette Midler lends a mighty 'In Memoriam' assist". Zap2it. Tribune Media. Archived from the original on March 6, 2014. Retrieved March 5, 2014. ^ a b Yamoto, Jen (March 2, 2014). "Oscars: In Memoriam Tribute Includes 'Midnight Rider's Sarah Jones". Deadline Hollywood. Penske Media Corporation. Archived from the original on March 5, 2014. Retrieved March 5, 2014. ^ Feinberg, Scott (January 29, 2014). "Academy Disqualifies Oscar-Nominated Song 'Alone Yet Not Alone'". The Hollywood Reporter. Prometheus Global Media. Archived from the original on January 30, 2014. ^ Wong, Jessica (January 16, 2014). "Oscars 2014: fun and surprising facts about the nominees". CBC News. CBC. Archived from the original on February 2, 2014. Retrieved February 2, 2014. Wikimedia Commons has media related to 86th Academy Awards.